The GPD Pocket 2 crowdfunding campaign is now live over on IndieGoGo — and it has already smashed through its $100,000 goal in less than 12 hours! It seems demand for the diminutive 7-inch laptop is just as high as for last year’s model, despite a moderately higher price tag. 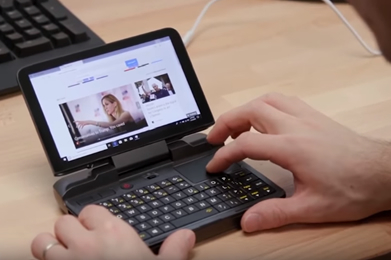 We spotlighted the GPD Pocket 2 specs a few week back, noting that the second-gen model has a much faster processor, a redesigned keyboard, and, rather controversially, no pointer ‘nub’ (there’s an optical pointer above the keyboard instead). GPD is not selling a model preinstalled with Ubuntu this time around, but given the relatively poor reception their Linux model received last year, it’s perhaps easy to understand why. 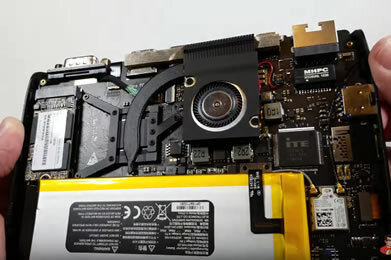 Nevertheless, a passionate Linux community has built up around the original GPD Pocket (which now works much better with Linux distros like Ubuntu thanks to improved hardware support in the latest Linux kernel) — and that community support will no doubt ensure the new model is kitted out with a capable community-based Linux distro too. 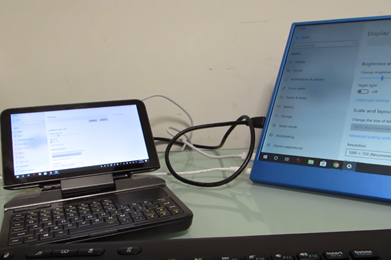 Although the lack of HDMI out is annoying you can connect the GPD Pocket 2 to an external monitor using a USB Type-C to HDMI adapter. The GPD Pocket 2 isn’t cheap. The base model costs roughly the same price as the new Microsoft Surface Go (albeit without a keyboard). On the flip it does offer specs comparable with the most recent Microsoft Surface Pro. And the terrifically high-res touchscreen and unibody machined magnalium case (just like the Surface Pro and the Apple MacBook) does offer food for thought. The 4GB model costs $529 as part of the crowdfunding campaign and the 8GB model costs $599 (the apparent MSRP will be $770 and $840 respectively). If the 7-inch form factor doesn’t put you off — small though my hands are, I think 7-inch is too small for me — you can learn more over on the IndieGoGo page. Keep in mind that the price you see on IndieGoGo isn’t inclusive of tariffs and other fees (especially if you live in the EU where import charges can be as much as 21% of the sale price).